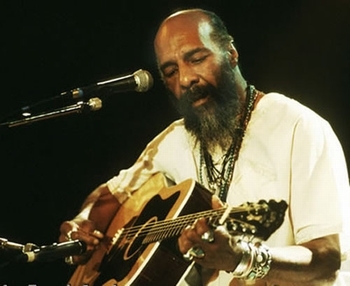 Lots of people are writing memorials to Ritchie Havens who died today at the age of 72. “Folk singer and guitarist” is what the newspapers say. Factually correct but nowhere near the experience of hearing his music, especially for the first time. I was just a kid who found himself, through a strange karmic twist, at the Village Theater in New York, for the first show of Cream’s first American tour. First we had to sit through a set by some folksinger none of us had ever heard of. Some Ritchie something guy – and he stunned us. Left the main act in the dust On our feet, open mouthed, one of those “never heard anything like this before” musicians. A few years later he did the same thing for half a million at Woodstock. All I can think to do now is pass on a couple of songs, especially for those who may not be familiar with his music. Freedom was a theme that ran through most of his music. One of his best known songs bore that name, but here is one of my favorites that isn’t as well known. He recorded this version of “Follow the Drinking Gourd” for an album of Civil War songs following Ken Burns’ documentary. Slaves escaping north on “the underground railroad” were told to travel only at night and “follow the drinking gourd,” the constellation we know as the big dipper, where the north star would show them the way. His songs songs were woven with hopes and dreams. Here’s another one someone just posted, wanting to share some expression of this beautiful soul. 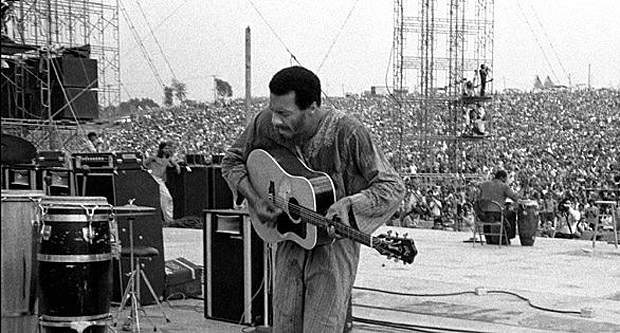 I keep wanting to say, “Rest in peace,” but for Ritchie Havens, I think it’s a given. This entry was posted in Music, News and tagged Music, News, Ritchie Havens. Bookmark the permalink.